Easily convert text to audio on online websites, including to mp3 format for you to hear. Include typed text, copied (cut/paste), or uploaded to the application. This can include lengthy study notes, downloaded eBooks, emails, rss feeds, online books, file uploads (in different formats) and work documents. Then save and play the audio version later, perhaps when relaxing, commuting about, studying at home, or when exercising. Maybe learn a new language, proof read, or just entertainment. Students with learning disabilities may well benefit with speech conversion software. The Calgary Board of Education and Alberta Education researched a project utilizing speech software to evaluate the benefits for the learning disabled. Positive impact of students with reading comprehension was observed, increased self confidence, motivation, and improved work quality and enjoyment as documented in their project report. Depending on features for basic free plans, audio output maybe sufficient for your needs, but their are choices, of which some may suit. Otherwise a upgrade may be in order. Perhaps test and compare some of the following text to audio converters available on the Internet. Requires signing up, but their are a few features, such as a range of male and female voices, storage history for later accessibility, and can audio convert rss feeds and emails. But also pdf, word documents, and text files. Conversion may take a few mintues, but then can easily download your file when completed. You can also advertise on YAKiToMe. You can sign up for a free trial, plus, or premium plans. Upload and convert various file types, e.g. Microsoft Word, Excel, and also PDF, txt and others. But also copy and paste, and insert web site addresses for conversion. Audio files are stored for later retrieval, and can be embedded as html for web sites. Your audio can be shared (with the "add this widget") on social network sites, played for listening, downloaded to your computer, and for Podcast creation. The site itself is attractive, and includes tutorial videos. Image of Girl Listening by David Castillo. Been around a little while and relatively popular for file conversions, particularly for PDF's to word format, and I think also for extracting audio, i.e. Youtube to MP3. But easily convert doc(x), PDF, txt, rtf, etc of up to 100MB. Easily convert a website address (i.e. URL). Option to sign up for a Zamzar inbox, for basic pro, and business plans, and larger file conversions, with online storage. Simple but quick to convert your text to audio mp3 to download, with a selection of volume, 1 to 10- silent to loudest. can record with a "Scottish" voice, and American male and female voices. Allows a maximum of 5000 characters and for commercial use. Attractive website for converting your text in various methods, file uploads (html, pdf, word, txt, etc), rss, and url's. Has a variety of readers, and can listen online, save to PC, or add to your own web page. Perhaps spread your message by creating a podcast, and can subscribe to others. No sign up required, unless if you want direct conversions. From a range of voice translation software, with different features, from simple translation or conversion, to pod casting and online sharing, audio conversion can suit specific needs. Text to MP3 conversion internet based freeware, has allowed many to transcribe different file formats. 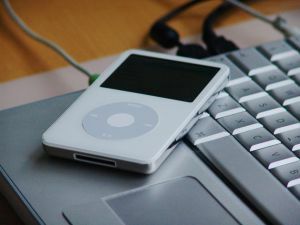 Whether if simply playing the resulting audio, or archiving mp3 voice conversions, such text to mp3 online software can have a universal role.